Understanding the "ours" as referring to the universal church of believers, it would seem that John is saying that Christ "propitiated" for everyone's sins. Calvinism, through the doctrine of limited, or definite, or particular, atonement, says that Christ died only for the elect. How would a five-point Calvinist understand this passage? Calvinists see the "whole world" in this passage as referring to the elect throughout the world, particularly emphasizing that Christ died for Gentiles as well as Jews. Many other Reformed theologians take similar approaches, including John Frame (Systematic Theology, 907), the Reformed Study Bible, Louis Berkhof (3.3.6.B.4.a), and John Piper (source). The phrase the whole world relates not to every creature God has made, for then the fallen angels also would share in Christ's redemption. The word whole describes the world in its totality, not necessarily in its individuality. John chooses the adjective ολος (whole) instead of πας (every, all) to communicate the idea of universality. The word ολος has "an indefinite meaning which πας does not have." They would say that although Jesus died for everyone in the whole world, nevertheless to be saved, people have to "accept" him. Those who accept Jesus and follow him were predestined from the beginning of the world to do so -- and the others were not. Furthermore, they were not just predestined but in fact pulled by an irresistible grace to be saved. In other words, they would say Jesus did "part 1" for everyone, but "part 2" is done by God only with the Elect, and there is nothing anyone can do about it. For example, many Christians consider water baptism to be essential to salvation. Some Protestants rely on (a version of) the "baptism of desire" doctrine to say that it's not essential. Also, some people say the Holy Spirit will work inside the saved person to make them sin less and less, and there will be unmistakable outward signs that someone is saved. Whereas other Christians say you can never really tell who is saved and who is not. Some Christians believe "once saved, always saved" like Calvinists, and others believe that you can lose your salvation. Calvinists believe that if you fall away, it will only be for a time and then you'll come back, which logically implies a guarantee of immortality during those times when you fall away. Finally, regarding "following Jesus", some Christians believe that one should literally do what Jesus said (i.e. keep the 10 commandments, follow those in the seat of Moses but don't do as they do, give away possessions) and other Christians believe like Paul said, that Jesus already paid for everyone's sins so the Law isn't relevant anymore, and we just have to follow our conscience. They say the Law is divided into "ritual law" and "moral law" and different Churches may have different opinions on whether a particular action is moral and immoral. Some Christians believe you should belong to an organized Church, and others believe all the Churches have become corrupt and Jesus taught against organized religion. In short, while the words "accept Jesus" and "follow Jesus" can (and have) take on various meanings in various times and communities, but the idea of Calvinists is that anything that happens is up to God anyway, so at the end of the day, while Jesus paid the price, whoever "accepts Jesus" and "follows Jesus" is completely up to God the whole time. Grace, but not of ourselves. Not the answer you're looking for? 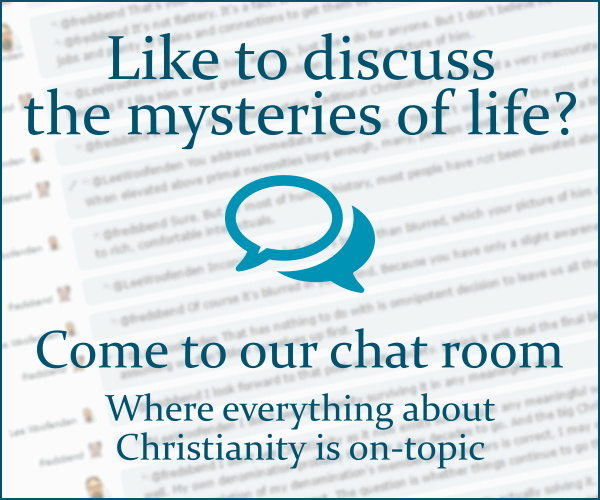 Browse other questions tagged exegesis reformed-theology 1-john limited-atonement propitiation or ask your own question.